The Great West Way are keen to work with tour operators and wholesalers to contract, package and sell Great West Way tourism product creating additional bookable programmes for visitors to the region. In order to do this we have developed the Great West Way Official Tour Operator scheme. A list of our Official Tour Operators can be seen here. So whether you are an international tour operator looking to buy a bookable programme through a wholesaler or a wholesaler/tour operator wishing to develop your own programme for your customers, we have a range of assets available and are here to help. If you wish to receive a pdf or hard copy of the travel trade directory or discuss how to become an official tour operator please contact Head of Travel Trade Florence Wallace. Click here for Great West Way Official Bookable Tour Operators Programmes . Click here for our Interactive Great West Way travel trade directory. Click here for help on how to sell the Great West Way. Itineraries for the Great West Way. 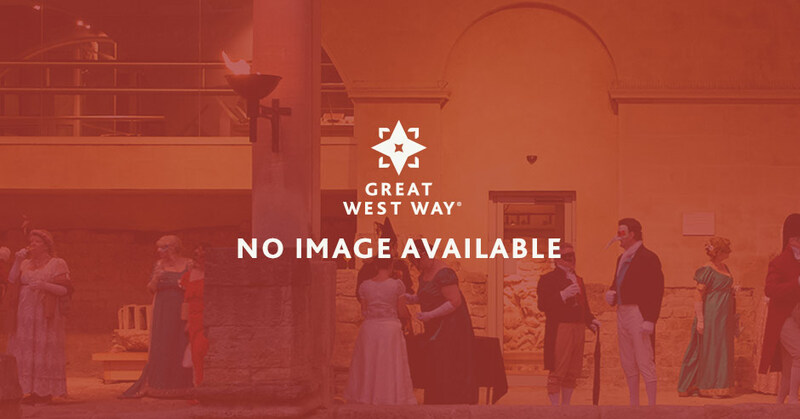 Click here to find out about the Great West Way Travel Toolkit. For all the latest Great West Way trade info, sign up here. Calling all Foodies! Discover Bath across your taste buds on a 3 hour culinary walking tour. Enjoy an authentic and indulgent experience of rural England. Away from crowds. With extensive local knowledge of Wiltshire and South West England our holidays and local trails will take you off the beaten track. On-site Sample bar with five cask ales on draught. 1/3 pint samples can be purchased. Traditional pub games are available to play in the bar. Gloucester, the capital of Gloucestershire is cradled by the picturesque Cotswold Hills. Modern 171-bedroomed hotel featuring the Larder British cuisine with a modern twist. 15 meeting rooms, ballroom for up to 300 people and ample chargeable car parking. 24-hour fitness room for hotel residents. Windsor Castle is the oldest and largest inhabited castle in the world, the family home of 39 British kings and queens for almost 1,000 years, and is today one of the official residences of Her Majesty The Queen. Spend the day cruising along the Kennet & Avon Canal through the picturesque Wiltshire countryside aboard our self-drive day boat. Day hire from just £149 for up to eight people.